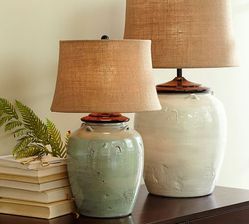 We are engaged in offering Pottery Lamps. 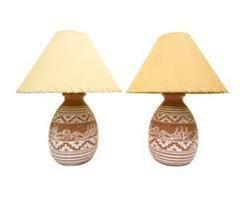 In order to meet excellent quality standards, we are supplying Pottery Lamps. Our reputed entity is engaged in supplying Pottery Lamps. Hand painted hand made jaipur famous Neerja;s Blue Pottery lamps. 100's of patters, size and shapes available. Blue pottery base with brass lamp fittings, the wiring can be specified to any country, wiring will be extra for certain countries.